If you enter most large luxury sedans today you’re likely to find front and rear heated leather seats beneath you, a textured headliner overhead, a small forest’s worth of genuine wood trim, front seats with more power adjustments than the stereo has speakers (and that’s a lot), power conveniences galore, and an audio/navigation system governed to an unnecessarily complicated degree by a central control on the console. By those metrics, the 2017 Genesis G90—brought to you by the fine folks who make the Hyundai Accent—is a real-deal large luxury sedan. A “3.3T” decklid badge is one of the only visual details that separates the turbo-V6 G90 from its 5.0-V8 stablemate. The debut G90 replaces the Hyundai-badged Equus and is the flagship of the newly established Genesis brand. 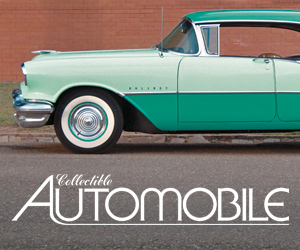 (Readers of a, uh, certain age may recall the Imperial, the established top-line Chrysler that was spun off as a stand-alone luxury marque from 1955 to ’75, then revived for 1981-83. This is sort of like that.) It might not yet offer the same mix of technology features, powertrain performance, or customer-cosseting dealership experience as BMW, Lexus, or Mercedes-Benz, but it can boast an underlying level of luxury and refinement that comes surprisingly close to them—at sticker prices around $20,000 to $30,000 less. 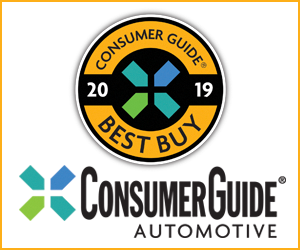 That is why the G90 is Consumer Guide®’s “Best Buy” pick in the premium large-car class. There are two engines, a turbocharged 3.3-liter V6 and a 5.0-liter V8, and two drivelines, rear or all-wheel drive. V6 cars cost $1600 less than their V8 counterparts, and electing AWD over rear drive adds $2500. There are no options offered for G90s, so CG’s 3.3T AWD test car was all-inclusive at $71,550 with its $950 delivery charge. The G90’s interior has a stately design, and is loaded up with all the expected creature comforts. Rear seat room is expansive, and passengers are treated to an array of climate, audio, and seat-adjustment controls in the center armrest. In addition to the running gear—including an 8-speed automatic transmission with paddle shifters—that figure buys heated power-folding mirrors, a hands-free power trunklid, adaptive suspension, Genesis Connected remote services, power soft-close doors, adaptive xenon headlights with automatic high beams, and 19-inch alloy wheels with staggered-width tires. Inside are heated and ventilated Nappa leather front seats with memory, 22-way driver’s seat adjustment, heated rear seats, a 17-speaker surround-sound Lexicon-brand stereo, navigation, a suedelike microfiber headliner, auto-dimming mirrors, tri-zone automatic climate controls, heated steering wheel, wireless cellphone charger, head-up instrument display, power rear sunshades, and a power sunroof. Standard safety features include pedestrian detection with automatic emergency braking, blind-spot monitor with rear cross-traffic alert, lane-departure warning and lane-keep assist, adaptive cruise control, driver-attention alert, and a 360-degree surround-view camera. 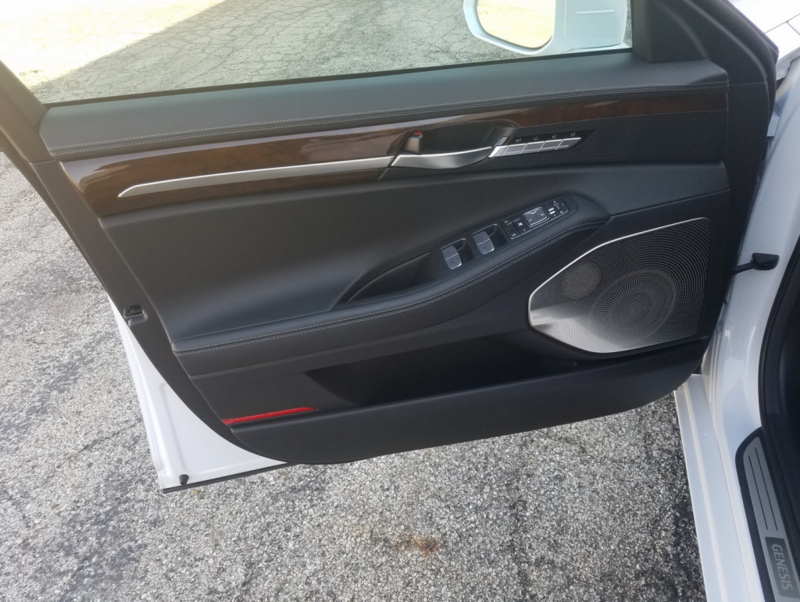 Interior detailing highlights include high-gloss wood trim inserts and perforated-metal speaker grilles for the standard Lexicon 7.1 surround-sound audio system. The turbocharged V6 generates a maximum of 365 horsepower (when burning premium fuel, says the manufacturer) but it makes almost as much torque as the V8, and that torque peaks sooner in the turbo engine. That’s good for brisk getaways with minimal turbo lag. The Genesis 3.3 gets along well enough on the highway with well-timed transmission kickdown for safe passing. It’s fairly quiet, too. However, a sense of genuine open-road mastery will likely require the 420-horse V8. An “Intelligent Drive Mode” selector meddles with throttle input, shift points, and steering effort for a slightly sportier feel or to optimize economical operation. Regardless of drivetrain, the EPA rates the V6 G90 at 17 mpg in city driving, 24 mpg on the highway, and 20 combined. This driver saw 17.4 mpg from a 210.1-mile test trip that involved 64 percent city-type driving. The G90 does display a very comfortable ride that’s closer to the cushy Lexus end of the spectrum than it is to the more athletic feedback from the German giants. A 124-inch wheelbase (the same length as the 1974-75 Imperial, by the way) spaces out impacts over road imperfections, making them feel less, well, impactful. Steering, too, emphasizes ease of handling—though there’s a nice extra degree of heft to it with “Sport” mode selected. If anything betrayed the G90 as the “low-cost” newcomer to the large-luxury class it was a bit of vibration transmitted up to the steering wheel that was particularly present in expressway driving. The G90’s trunk is generously sized and nicely finished. The sickle-shaped trunklid hinges are covered to prevent damage to cargo. Nicely finished seats are extremely comfortable, and the foundation for an impressive interior. Leather also covers the dash and door panels. Wood highlights abound on the dash, console, doors, and even the backs of the front seats. Copious legroom and headroom greet passengers in either row, and even with a substantial floor tunnel, fitting three adults across the rear seat would not pose a problem. All doors open wide for easy entry and exit. Controls are easy to read and access—and then you get to the “multimedia controller” that governs the navigation and audio systems that register on a 12.3-inch display screen. Everything shows up well on such a big display, but programming audio settings is an intricate and involved routine of twisting, nudging, and tapping to tune for stations, select stations, call up “Presets,” then save a station. Of all the ways a luxury automaker could choose to emulate the recognized leaders, this would not be one that we’d endorse. Front climate controls are on a bank below the screen. Rotating dials set temperature but a vast array of push buttons handles other functions. Rear-seat passengers get their own audio and climate controls in the pull-down center armrest. Interior storage isn’t bad. The glove box is big—but so are the manuals that fill most of it. The covered console box (with a split top hinged on both sides) houses a USB charge port. Other device input ports are found in a covered bin on the console. Long but narrow pockets are in all doors, and hinged pouches are on the backs of the front seats. A surprisingly ample covered bin is incorporated in the rear armrest. Covered cup holders reside in the console, and two more drink holders spring from the back-seat armrest. 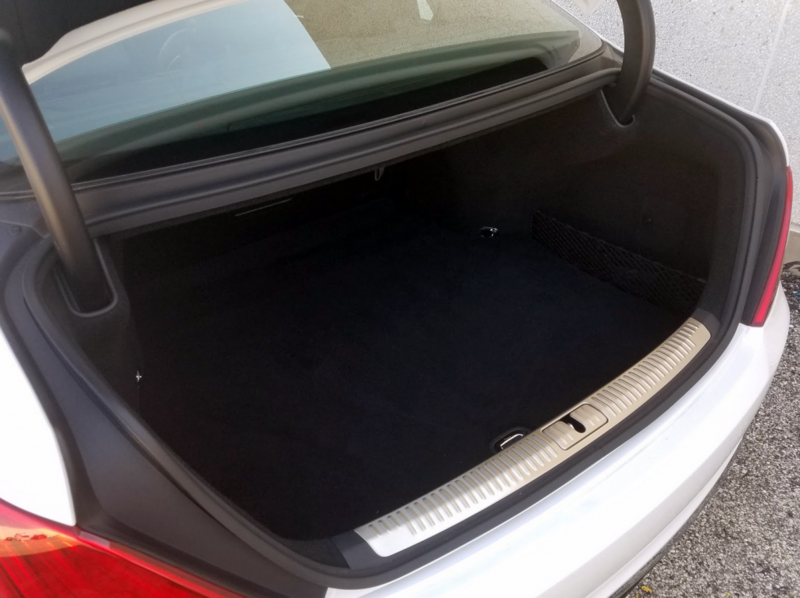 The trunk is very roomy, and there’s a bit of organized space under the floor. As in many large cars, the rear seats do not fold, but there is a central pass-through for long objects. All in all, the Genesis G90 has made a good start in the big-bucks big-car field. The winged Genesis badge on the G90’s nose looks appropriate upscale, with handsome sculpturing and contrasting satin-finish inserts. It is becoming increasing difficult to explain away the price disparity between premium Hyundai products and their German-brand counterparts. 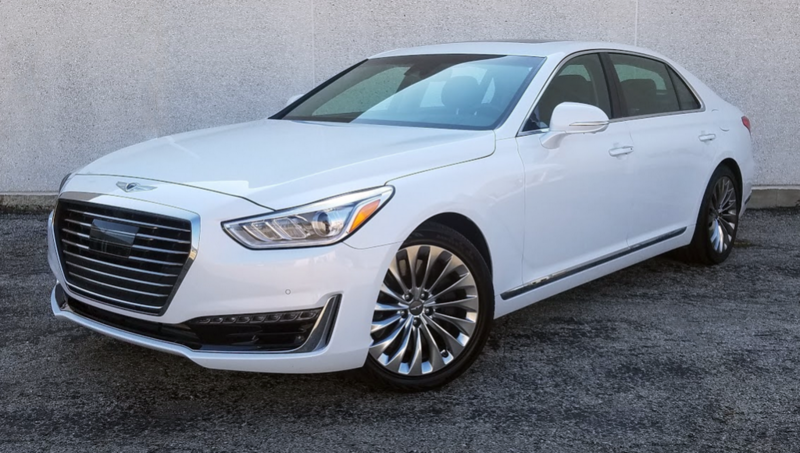 For years, we’ve appreciated the high-content value and workmanship of the Hyundai-brand Genesis and Equus models, while noting that the road manners of these vehicles—while fine—trailed the dynamics of Germany’s finest sedans. In the case of the 2017 Genesis G90, the ride and handling advantage enjoyed by the likes of the Mercedes-Benz S-Class has shrunk considerably. I spent considerable time and effort looking for flaws in the G90’s suspension. I never found them. I never found the occasional clunkiness I experienced in the Equus, or the wallowy, numb moment of recovery felt after an aggressive corner found in every previous rear-drive Hyundai sedan. No, the G90 isn’t quite as good as a Mercedes S550, but the big Merc isn’t $30,000 better, either. And, it’s worth noting that big Audis, BMWs, and Mercedes-Benzes are no longer the resale-value bank vaults they once were. While the Genesis dealer experience isn’t likely to match that of a premium German car store—or a Lexus shop—the product gets very close. Strange that, even at $70,000, Hyundai—err, sorry, Genesis—is still a value brand. 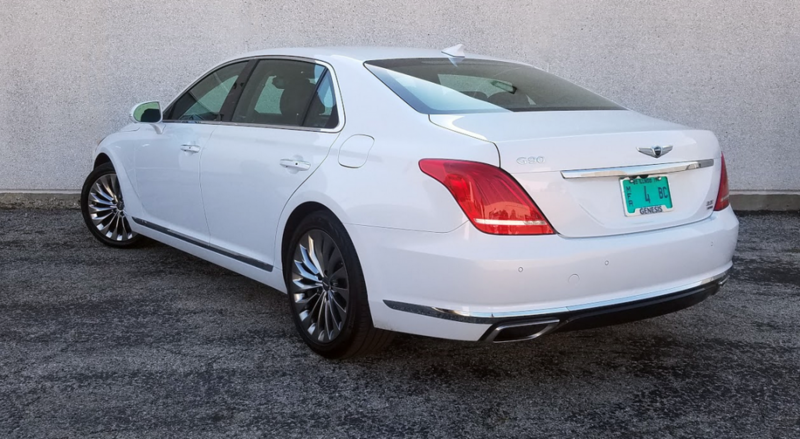 The G90’s wheelbase stretches an expansive 124.4 inches, which makes for excellent front legroom and limo-like space in the back seat. Thanks to its rangy wheelbase and sheer size, the G90 cuts a pretty regal profile. Written by: The Daily Drive staff on March 14, 2017.on March 15, 2017.